The leaves are changing, and there’s limited time left to celebrate summer. Pumpkin spice season is right around the corner and we’re bringing you the best fall lattes to grab in Syracuse. Sip on a warm beverage and fall for Fall right here in Upstate NY. Get in the fall spirit this year with a seasonal latte from Recess Coffee. Recess has been locally roasting their coffee since 2007, making it a popular hub for anyone looking to enjoy a fresh cup of coffee. With two locations, both in the Westcott neighborhood and Downtown, you can get your Recess fix easily. This latte shines with a non-intimidating maple flavor that can serve as a treat or a start to your day. The maple latte is perfect for a cozy day and will warm you right up. Funk ‘N Waffles taught us that waffles aren’t just for breakfast so it’s only natural that they serve up a latte that is good enough to be enjoyed any time of day. 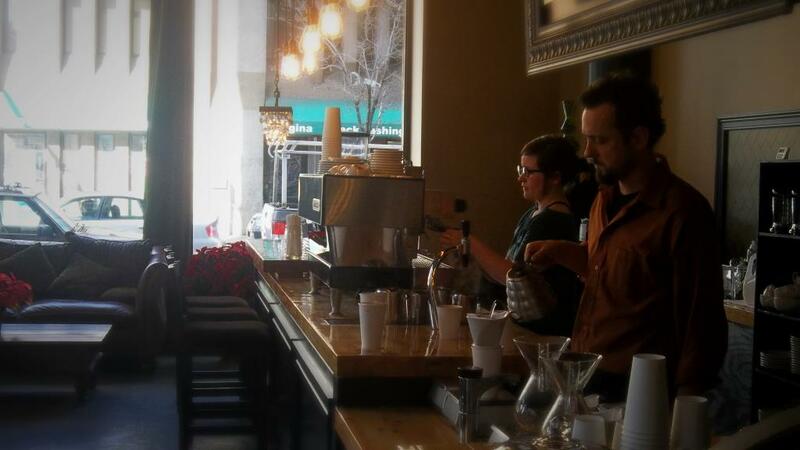 Their Downtown location even provides live music for you to enjoy your drink to. As the poster-child of fall beverages, this pumpkin latte is the perfect mix of sweet and seasonal. A work-week is not complete in Syracuse without a caffeine-fix from Café Kubal. Their pumpkin spice latte can make the most average of days both fall and festive. Perfect to enjoy in one of their many Syracuse café locations or on-the-go. This latte will make you want to forget your responsibilities and run around a pumpkin patch, tailgate an SU football game or pick apples. This latte will get you excited for falling leaves and colder weather. 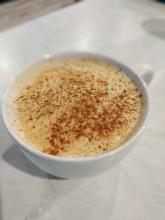 Enjoy a maple spice latte from Freedom of Espresso in Franklin Square and breathe in the crisp, autumn air. 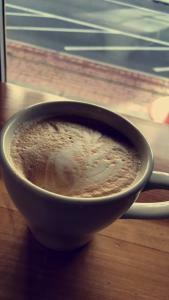 This latte is best p aired with one of their delicious pastries, we suggest the carrot cake muffin! So next time you’re in Syracuse don’t forget to enjoy the season with a warm, fall latte. Stop and take in the fall scenery, and sip on any of these delicious drinks. This latte is the perfect drink for fall sippin&apos;. Grab some food at the cafe and make any fall meal that much more festive with their take on the most famous of fall lattes. Not a fan of caffeine? Then try their Rolo Hot Chocolate, Cinnamon Spiced Cider or their classic Cookie Crunch Hot Chocolate for a hot drink to warm you up this season.